1. Aromatic repellent. 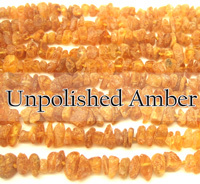 Amber is a fossilized tree resin which contains aromatic chemicals called terpenes which effervesce when amber is heated or rubbed and produce a resinous aroma. When the pet wears the stones on its neck, the friction from their fur will absorb the resinous smell coming from the amber. 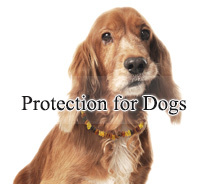 Resinous aromatic terpenes that are released and absorbed in the animal’s fur repel ticks and fleas. Although these parasites do not have a nose but they do have a Haller organ which helps the tick to perceive the smell a potential victim. In nature tree sap works the exactly the same - when a tree bleeds, it bleeds a sticky sap to protect itself from insects and fungus. 2. Electrostatic repellent. Static electrical charge is generated when Amber is rubbed against the fur. Naturally a cat or a dog doesn’t feel it but every tick that comes in contact with the electrical charged fur gets an electric shock and just falls off. This static electricity effect was discovered by the ancient Greeks, which originally gave the name of amber to the mysterious stone found on the coast of Baltic Sea – Amber in Greek means electron. We have carried out numerous tests and experiments that helped us to design the necklace which has perfect amount of amber pieces in the right ratio to work most efficiently despite the pet’s size. 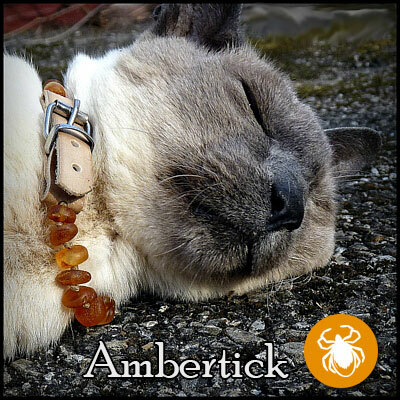 Ambertick can take up to 1-2 weeks until it has full effect on your pet. 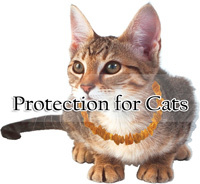 It also has to stay on your pet all the time, day and night - the longer your pet wears the necklace, the more effective it will be. It usually takes 3 weeks or more for Ambertick to gain its maximum repelling properties. "Amber is very soft, so my little poodle doesn't feel a thing wearing the collar :-) Although we..."
"the collars had a positive effect on my two chow chows, we've been on a mountain trip this month..."
We have been in amber business for more than twenty years, but could not imagine that one day we would create something that not just looked beautiful, but actually worked as a physical solution. 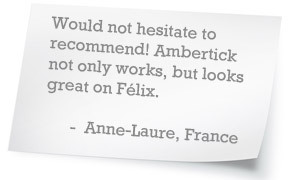 Within days of launching the first Ambertick less than a year ago, the amazing reviews, requests and feedback came pouring in. We listened to what you said and saw what more we could do. 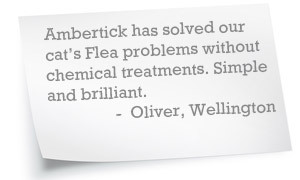 We truly believe that we need continue improving Ambertick and make it the best natural tick and flea protection in the world. We’re incredibly proud of the 2nd generation Ambertick. 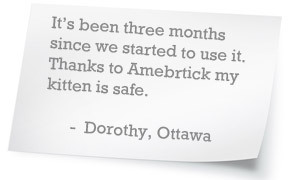 We’re also proud that we’re keeping our promise to 1st generation Ambertick customers. 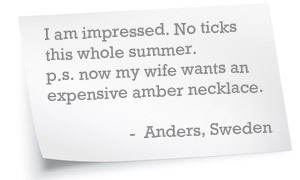 We told them that their Ambertick would keep getting better, and we meant it. 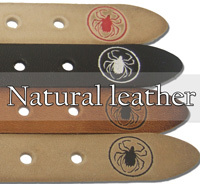 Now all Amberticks had Genuine Leather fasteners which make it more comfortable for the pets to wear. It is also much more durable and secure solution to fasten the collar than the classic screw type clasps. If you are still new to Ambertick, give this alternative a try. You and your pet will be astonished to see the effect. If you notice no effects within two months we will issue a FULL refund. Does it sound to good to be true? Read more on Amebrtick or choose one of the new designs to place your order.